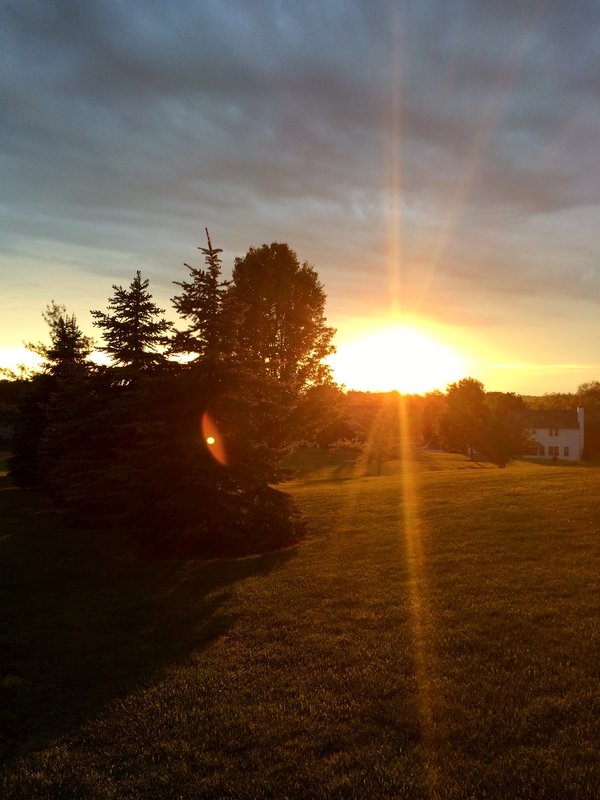 My journey to find the healthy balance between food, fitness, and fun! Happy hump day! What is going on this week? I’ve had a very busy but productive week and I’m getting VERY excited for my maid of honor to visit me this weekend! I’ve been cooking up a storm since moving and I’m having the best time with it! Expect some more recipes in the near future! 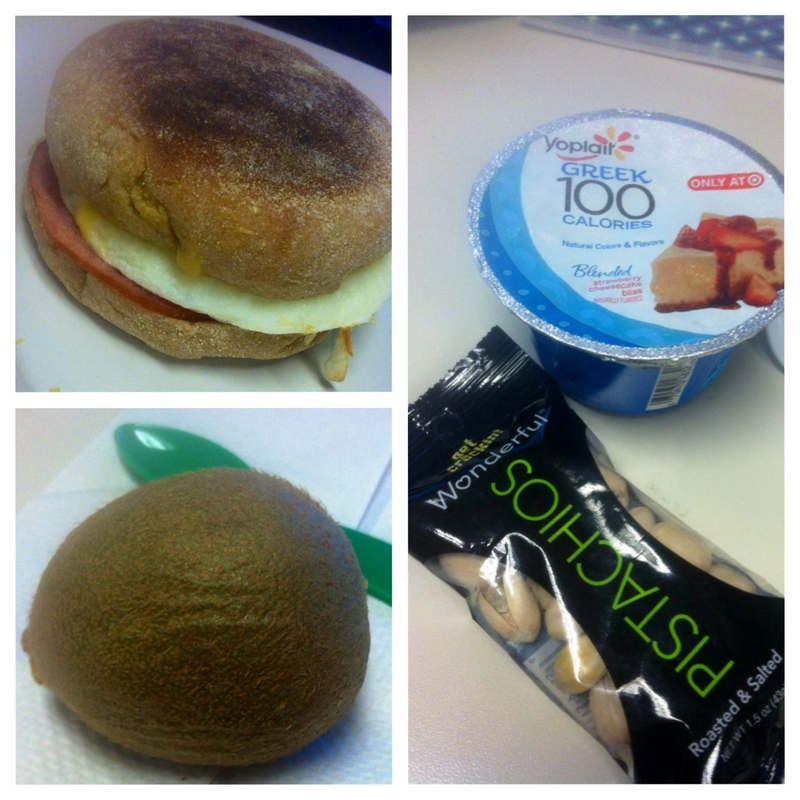 Switching gears… Here are some of my eats from Monday! 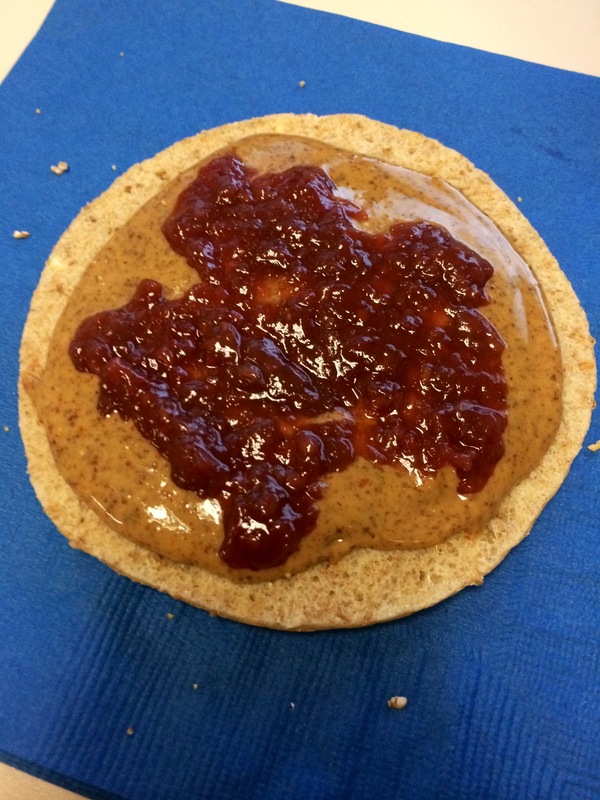 Breakfast after spin class was a delicious and usual sandwich thin with almond butter and organic raspberry jam! 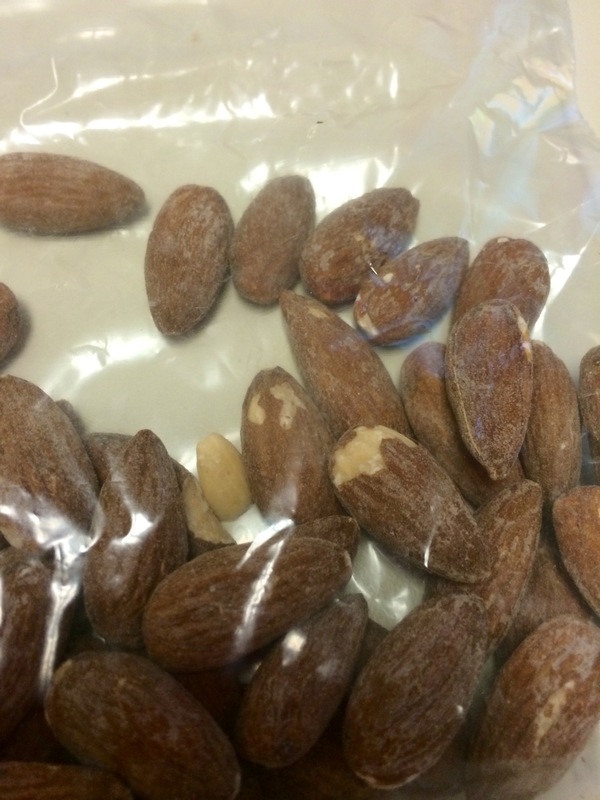 Mid morning, I snacked on a Baggie of roasted almonds! Lunch consisted of a salad with my buffalo pulled chicken and a side of The One and Only, by Emily Giffen! Loving it so far! 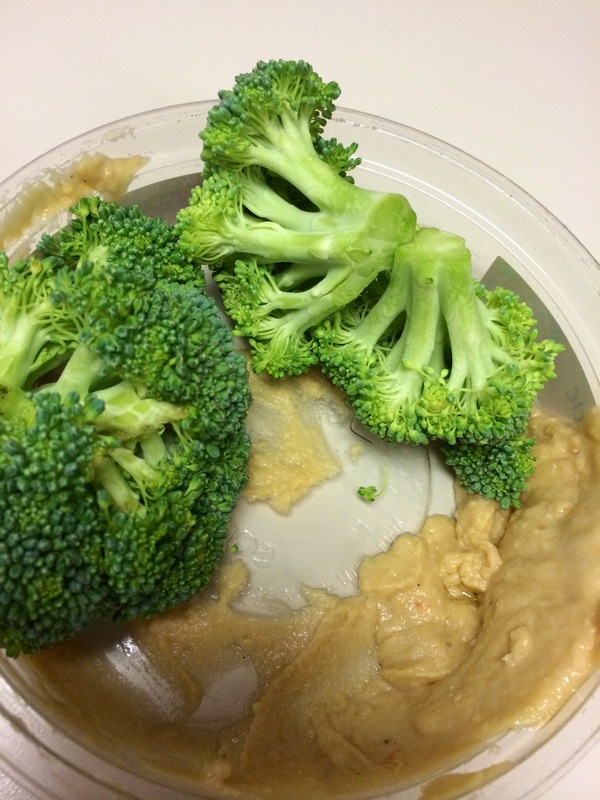 My afternoon snack was crunch and delicious thanks to raw broccoli and the last of my GAHLIC hummus! 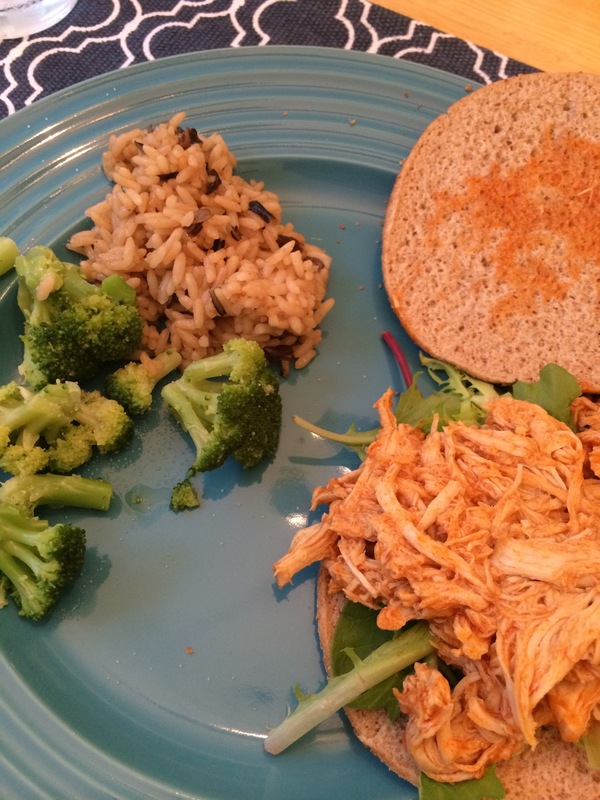 I rounded out the day with a delicious dinner again with my pulled chicken on a sandwich. The sides were steamed broccoli and wild rice! Love those 90 second packets!!! What have you been eating lately?? Hi there! Are you ready for yet another round of what I ate Wednesday fun?! I sure am this is always a fun day in the blog world! These were my eats Monday! 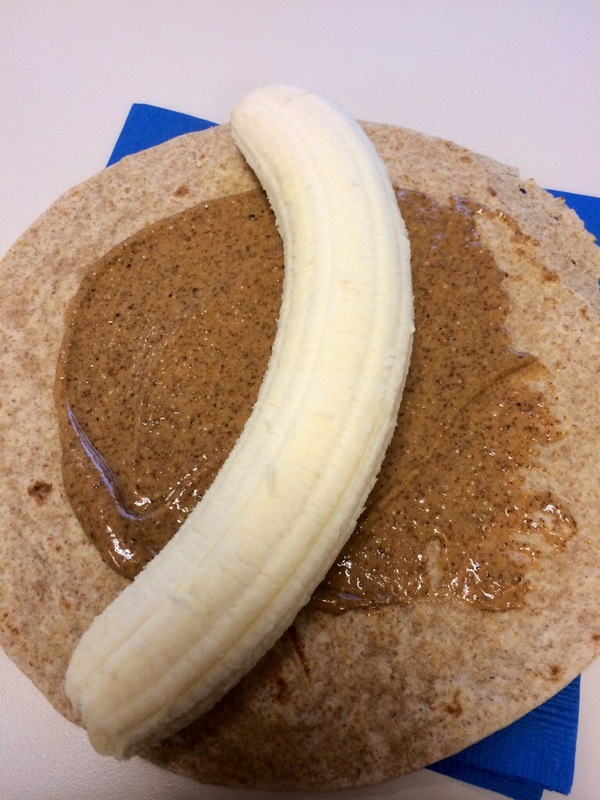 Breakfast: banana burrito… So simple just top a tortilla with almond butter, a banana and wrap it up! 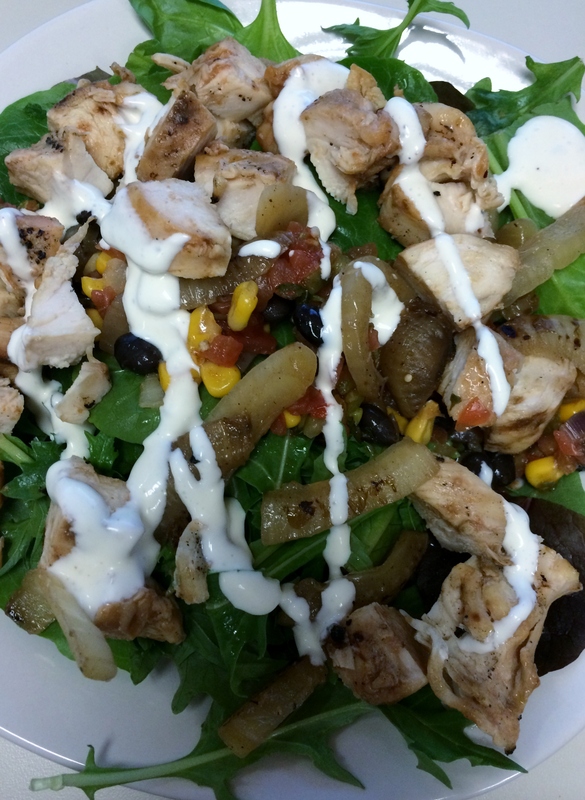 Lunch was a delicious salad I have been enjoying variations of all week! 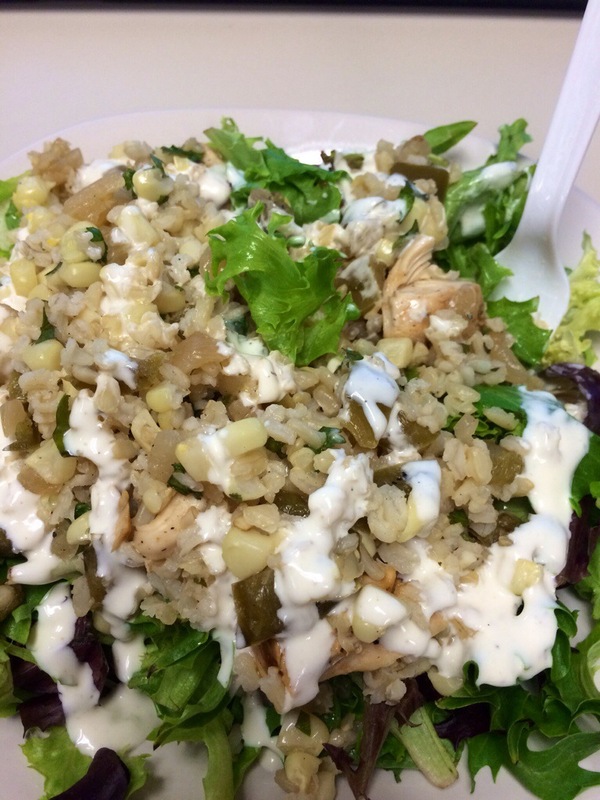 Spring mix topped with grilled chicken, brown rice, corn, and lite ranch! Cilantro too! Holy deliciousness! 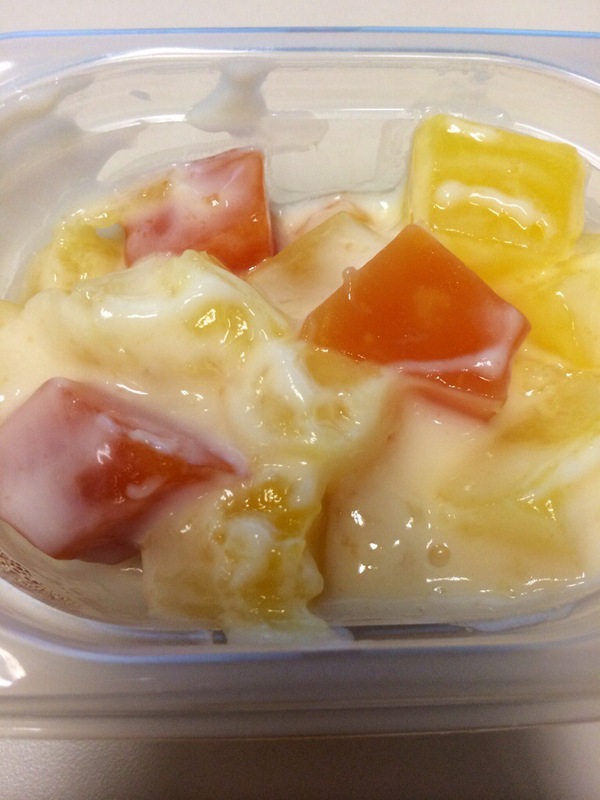 My afternoon snack was leftover tropical fruit salad with vanilla Greek yogurt! So summery and sweet! Dinner was the same as lunch but with leftover pulled pork from the tacos on Sunday night! 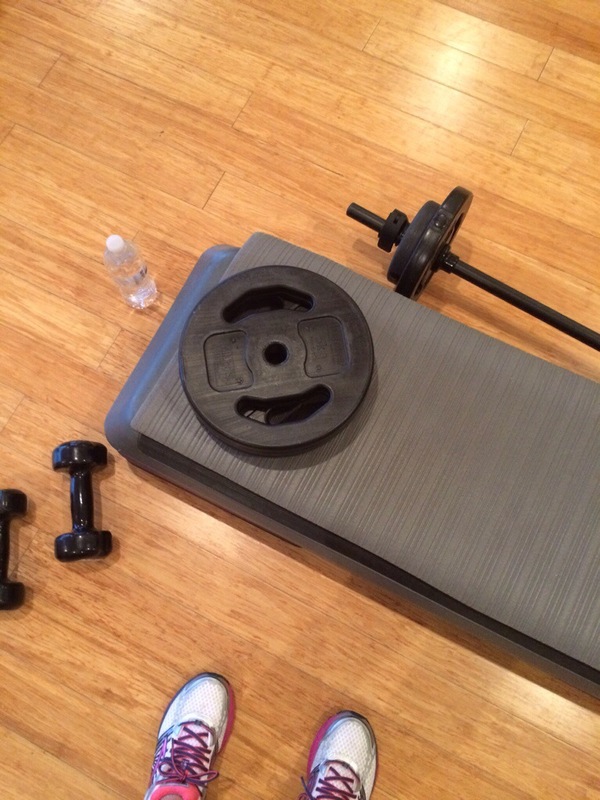 I followed up a great day of eating with an even more amazing body pump class. God I love this! 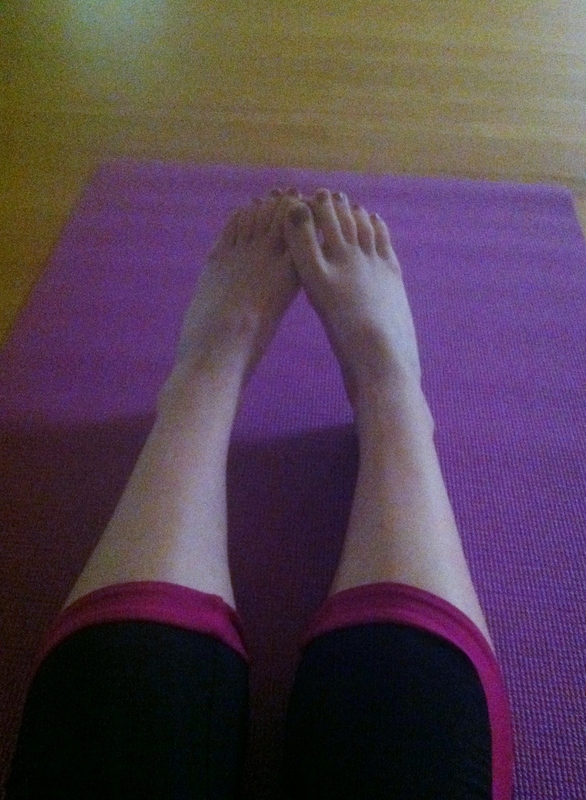 Especially since I had to miss spinning yesterday! I was really looking forward to it but car trouble trumped it! 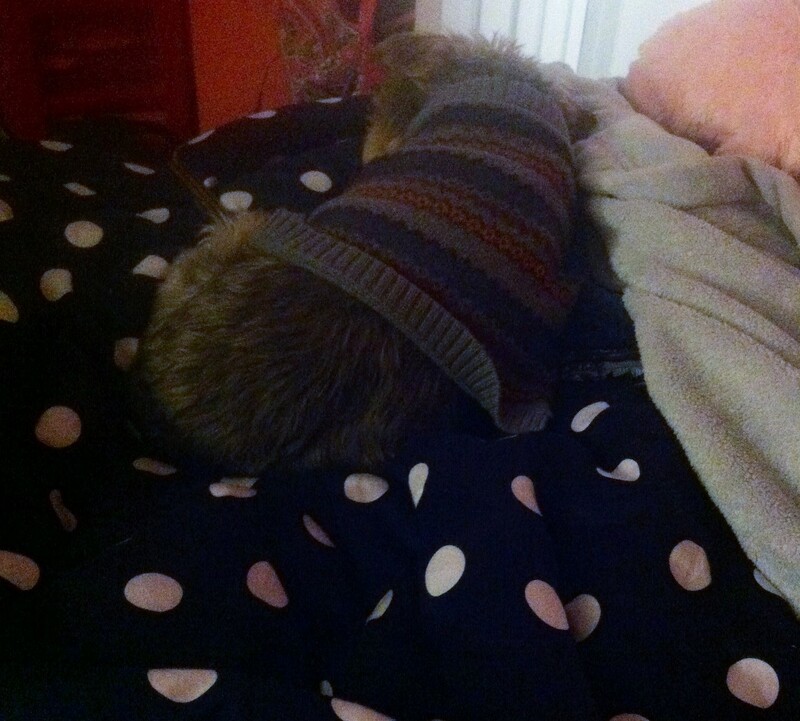 So bummed! At least a late night run made up for it and gave me some endorphins! Now it’s your turn…. What have you been eating this week?! These are my eats from Monday. After a long weekend of unhealthy food at the beach I was craving vegetables and some well rounded meals! I think I did a good job! 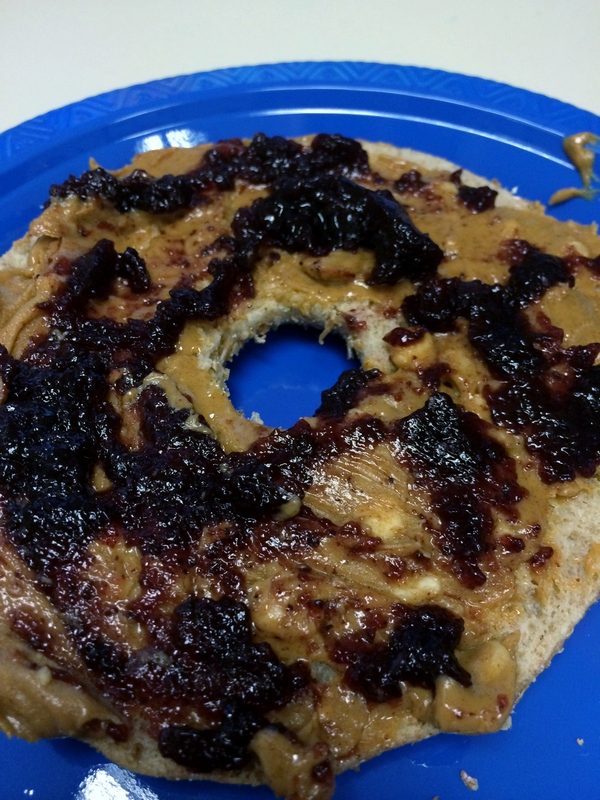 Breakfast on Monday was a delicious peanut butter and blackberry jam bagel thin! This is my favorite combo! Mid morning, I broke for a snack. 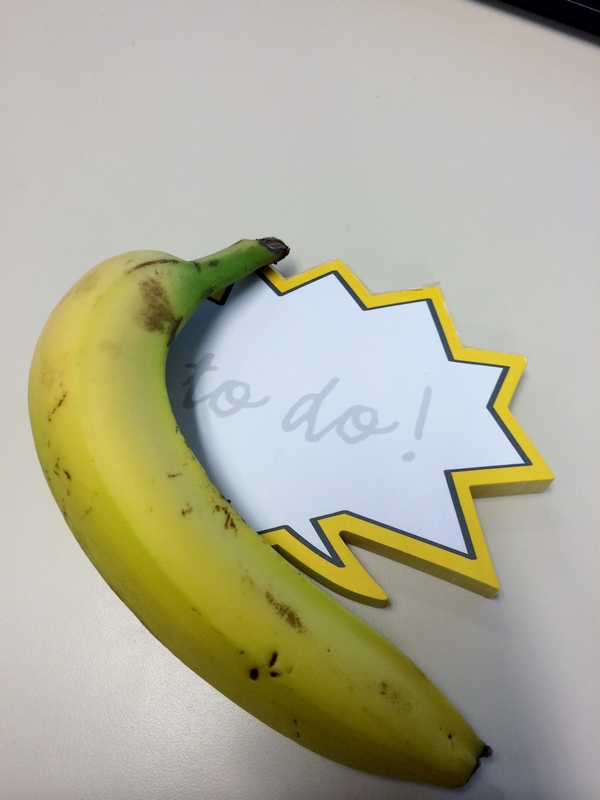 Banana to the rescue while making my to do list at work! Ha! 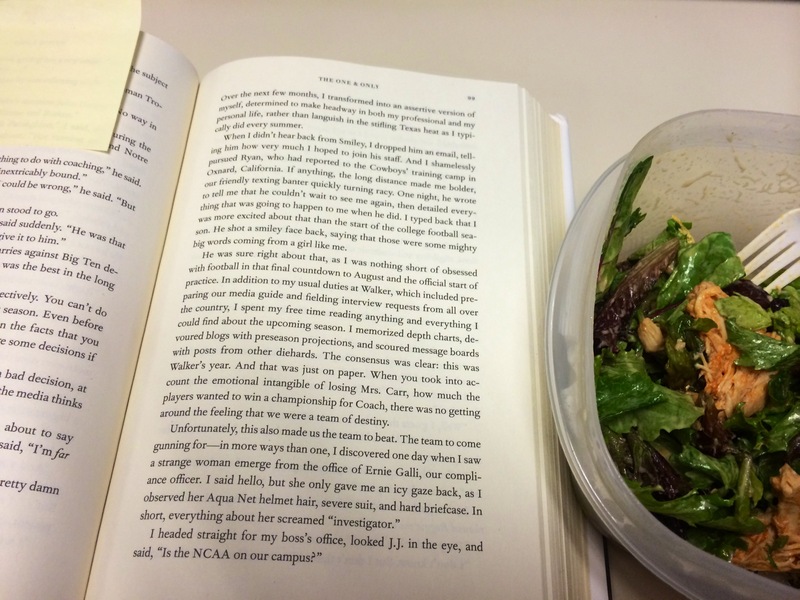 After a quick elliptical workout at the office gym, I came up to a delicious salad for lunch! I have been having chicken salads every day this week. Thank goodness for grilling season! I topped this baby with salsa, lite ranch and some sautéed onions! Deeeelish! Monday’s dinner was a show stopper! I had Trader Joe’s parmesan garlic sautéed potatoes with a salmon burger and some steamed vegetables! Holy yum. .Lemon water on the side! I cant get over how delicious this meal was! I need to get more salmon burgers on my next TJ’s trip! I forgot how good they are and how simple they are to cook! Dinner was served in a flash! The next snap is certainly not a meal but it was too nice not to share. I went for a really nice walk last night and was so thankful for my healed foot, this beautiful weather, and how content I am right now with my life. It was a great reminder to live in the moment and be thankful for everything that I have! What helps ground you? I need more moments like these. I felt so at ease when I counted all of my blessings last night!!! Hi there! How is your morning going? I got up super early today to get in a kettle bell workout! Lots of coffee here today! But that is ok because I am heading to the beach tonight for my friend’s wedding, woohoo!!! Bring on the sun and fun! 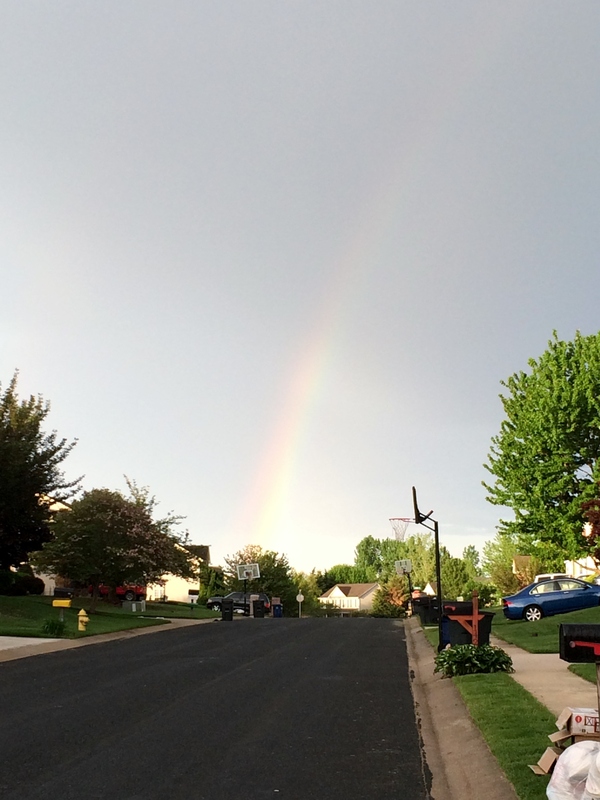 No rainbow this morning, but wasn’t this one yesterday amazing to walk out to? I am here today to chime in to What I Ate Wednesday !! This week was about cleaning out the fridge so my meals today weren’t very pretty but they were tasty! 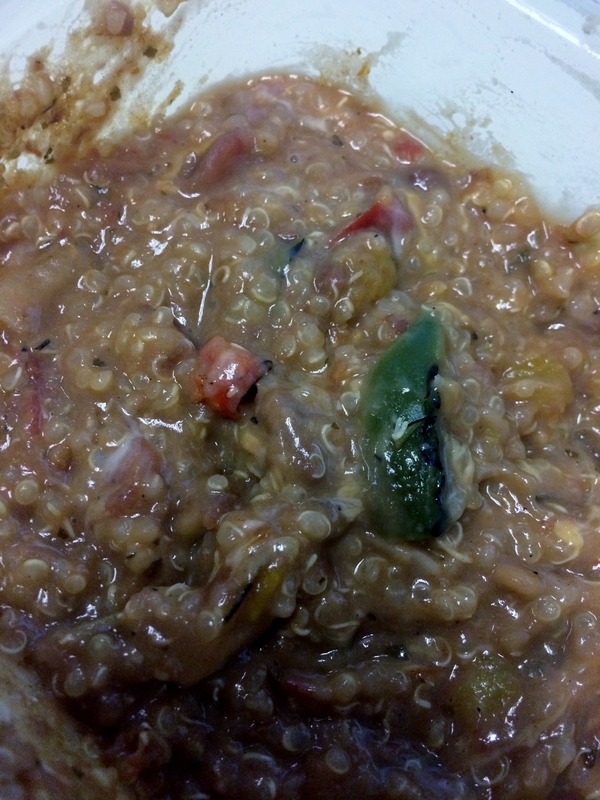 Breakfast yesterday was leftover quinoa. I added in cinnamon, vanilla, and some strawberries. I topped this mess with peanut butter and a banana. No breakfast is complete without either!! I was nervous about this combo to start but it ended up being tasty! I mean, what isn’t good with peanut butter on it!? 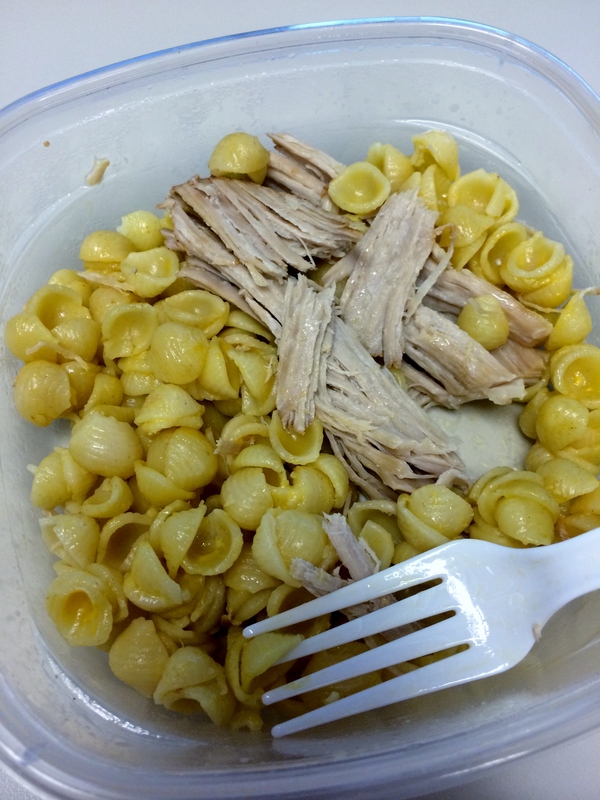 Lunch was leftover Annie’s shells and cheese. I added some leftover pulled pork for protein!! So delish! For dinner, I had more pork. 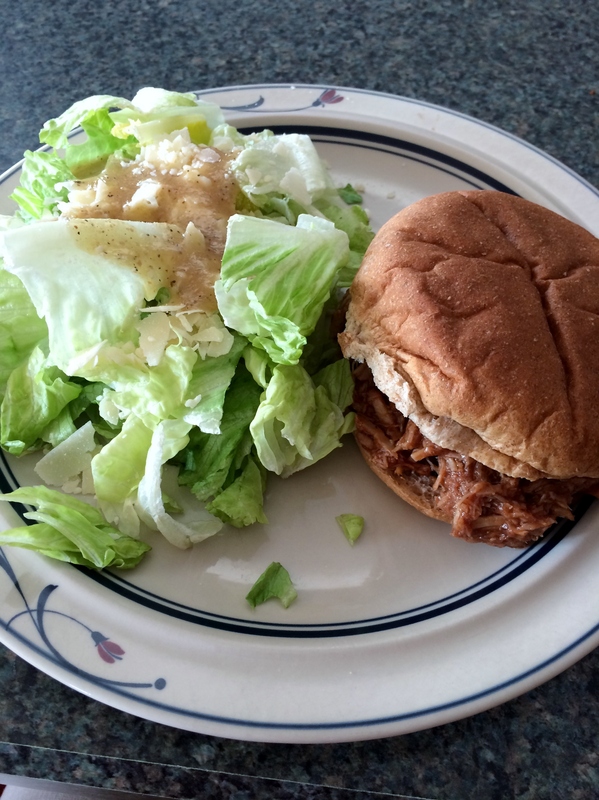 This time I added BBQ and had it on a whole wheat bun. I had a great big salad on the side! Hello veggies, long time no see! Ha! On the workout side of things, I did this workout from Julie. I also did this barre burner by Gina! I love switching these up!!! What did you eat this week?? I am back again with another post documenting what I ate Wednesday! Are you joining in on the fun?? I need more veggies, it is a repeated statement here! My eats from Monday are seriously lacking in color! All I see are shades of brown. Ew! I keep saying this, but my goal this week, especially on vacation is to eat the rainbow and less of the monotones! 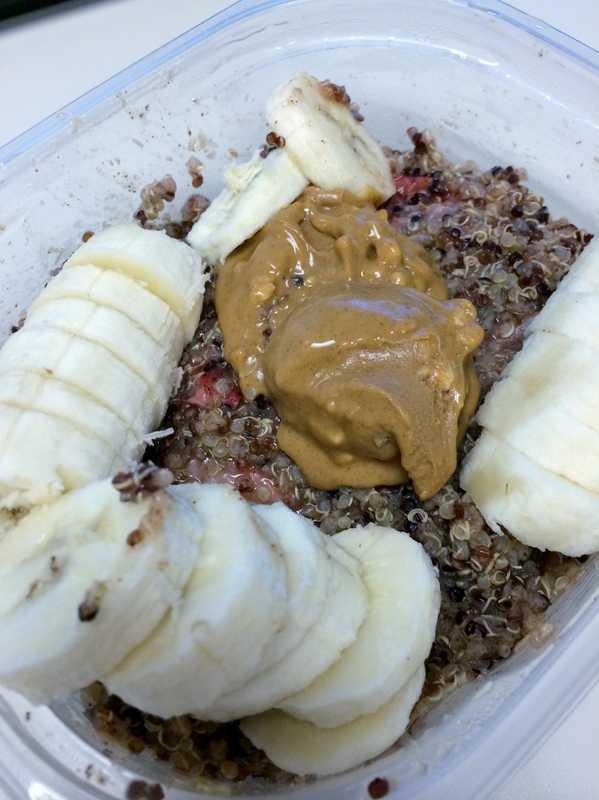 Breakfast on Monday was a delicious bowl of oatmeal topped with almond butter. Trader Joe’s knows the way to my heart. 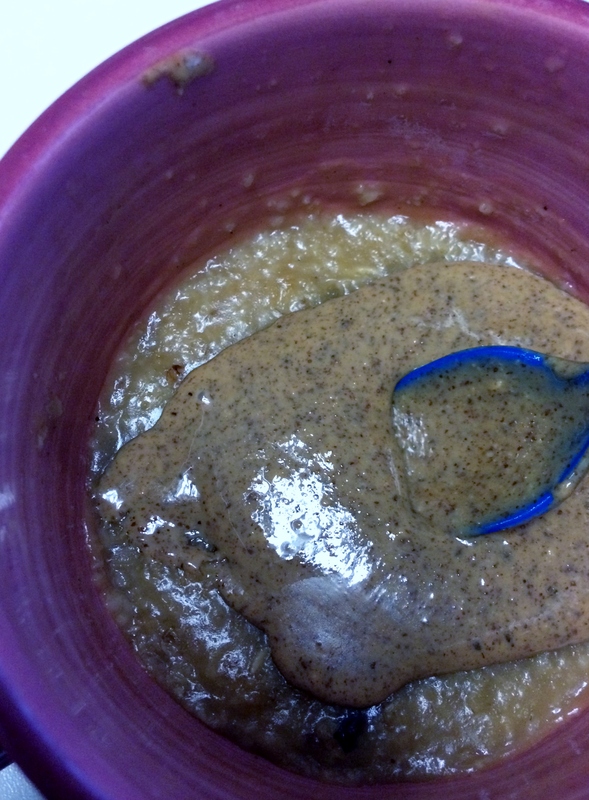 Peanut butter and now almond butter are the key!! For lunch, I had a taco mash! I had quinoa, fat free refried beans, fajita style peppers and onions, a sprinkle of lite Mexican shredded cheese, and lots of salsa! This comes out like a casserole and I love it! Dinner was more protein and more brown! 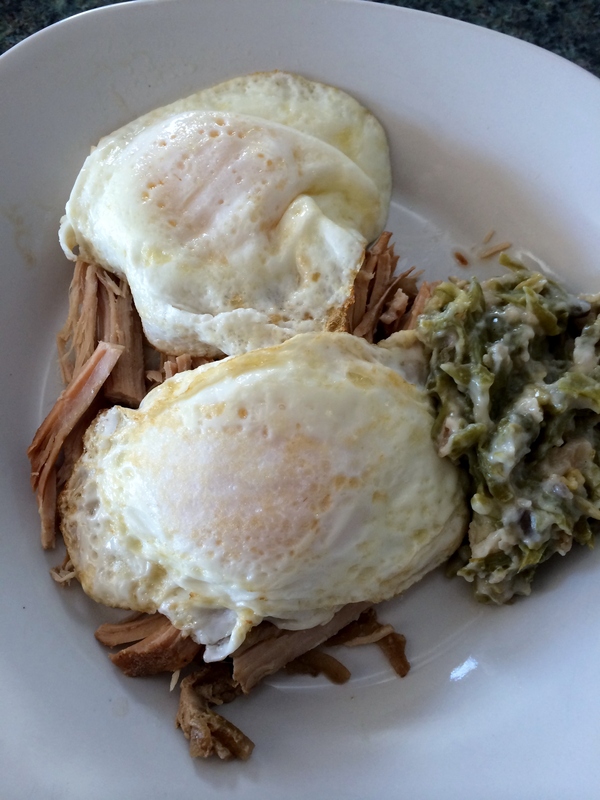 I topped my plate with shredded pork from a loin cooking in the crockpot with 2 fried eggs. Little bit of leftover Easter green bean casserole! So gooey and so good! Hi friends! I hope you’re all staying warm wherever you are since the polar vortex seems to be touching the entire country now, what the heck! 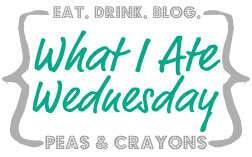 I’m back today with another edition of What I ate Wednesday! It’s the week coming up to my birthday and I’ve been so busy! I am busy all day at work and then I’ve got something every night taking me out of the house and keeping me on the go! This week required planning out my meals and workouts carefully! Thank goodness Gina has the winter shape up going on this week bc she planned my workouts for me! Also, since it’s the week before my birthday I’ve wanted to make sure my meals are healthy because I don’t want my healthy habits to go by the wayside when I enjoy my favorite meals and cake of course! 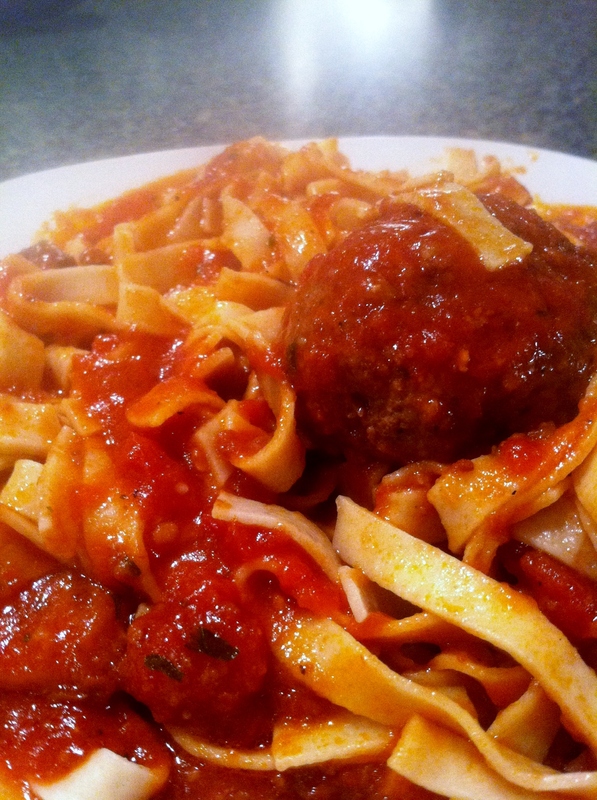 So, without further ado here is what I ate Tuesday! Breakfast was a delicious spread of Ezekiel toast. 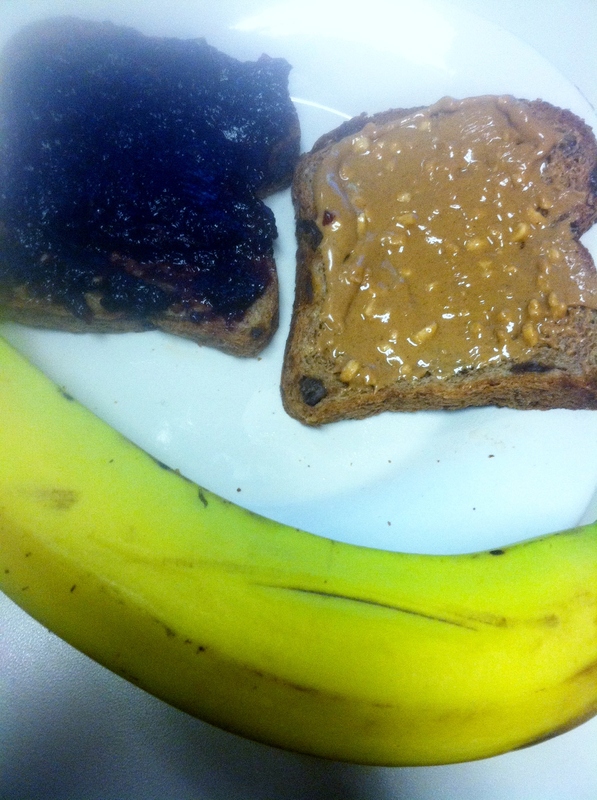 One side sugar free blackberry jam and one side peanut butter! As always a banana too! Lunch yesterday was a strange combination but tasty nonetheless! 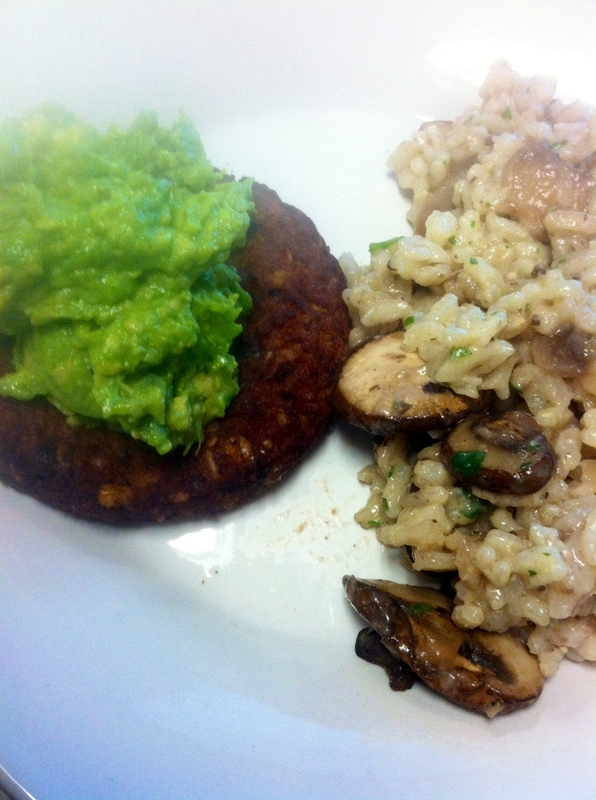 I had a black bean burger with 4 T of guacamole alongside leftover mushroom risotto from trader joe’s! I told you it was weird! 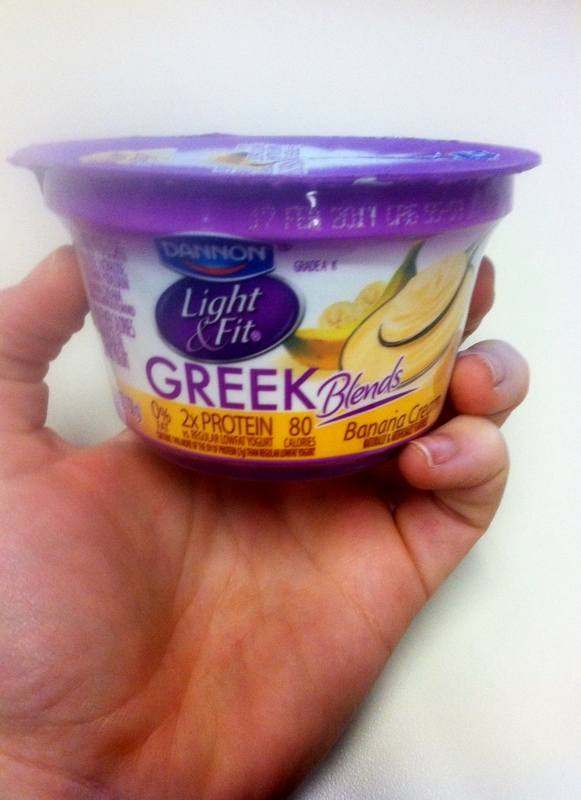 My afternoon treat was banana cream yogurt. It tastes like pie! So stinking good!!! Dinner was a crockpot success! 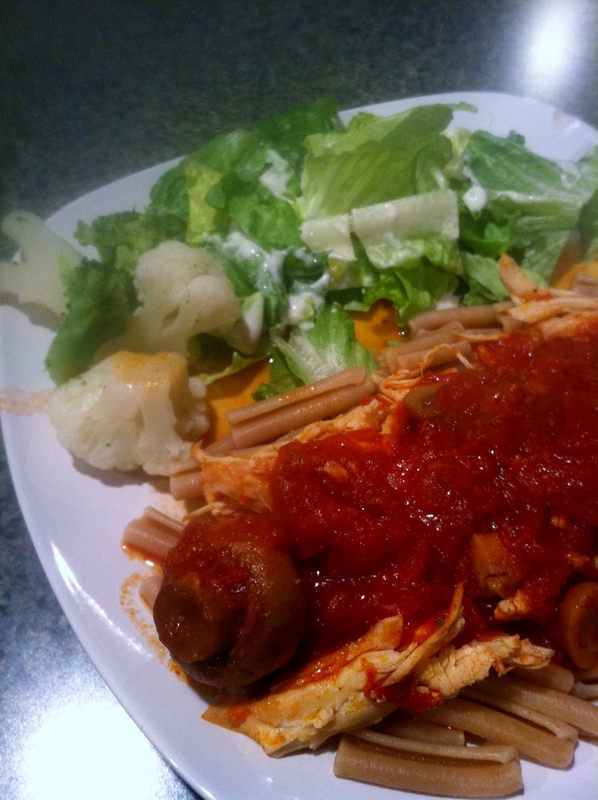 Pulled chicken in spicy marinara sauce over a bed of whole wheat noodles! On the side I had some salad and steamed veggies! Overall none of my eats were very pretty but they were really delicious! 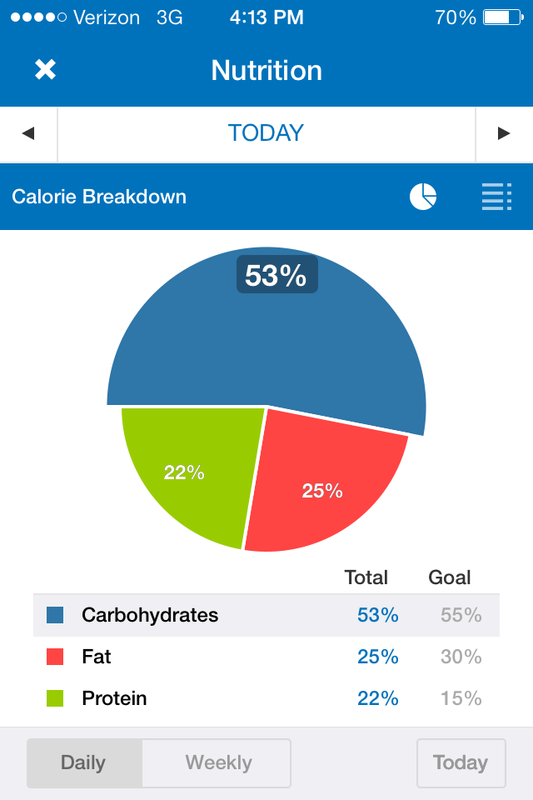 I also stayed close to my 1,200 calorie goal and met all my macro goals! Success! Hi Friends! I hope you are having a great week so far! Mine has been easy peasy, which I am loving! I have been needing a laid back week for a while! Thank goodness I took the time to meal plan this week! I have managed to stick to my plan pretty closely! Except for dinner Monday night, I have followed it to a T! We had a change of plans and switched Hawaiian Chicken to Tuesday and ended up having spaghetti on Monday which is no biggie at all! Planning sure has helped me do my freezer and pantry cleanout and made me more efficient in the kitchen! 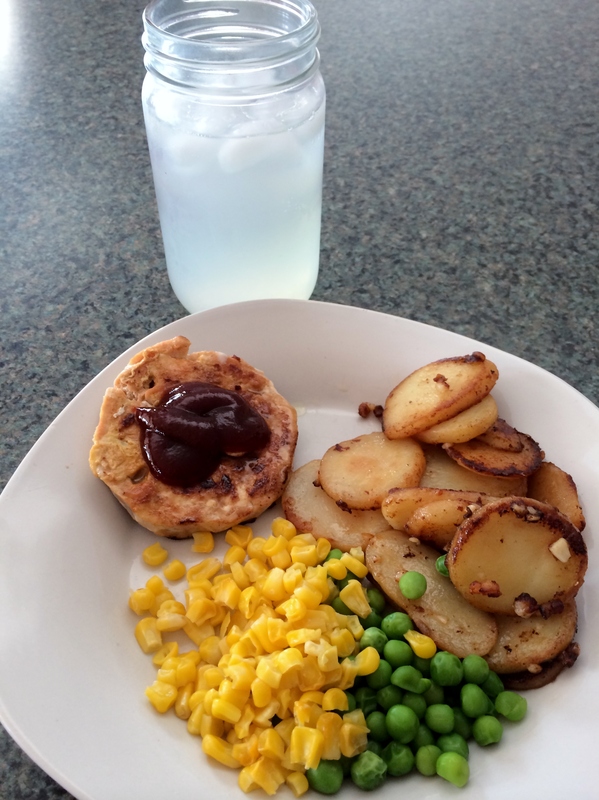 It is time for another round of What I ate Wednesday! Are you joining in? Here are my healthy and delicious eats from Tuesday! 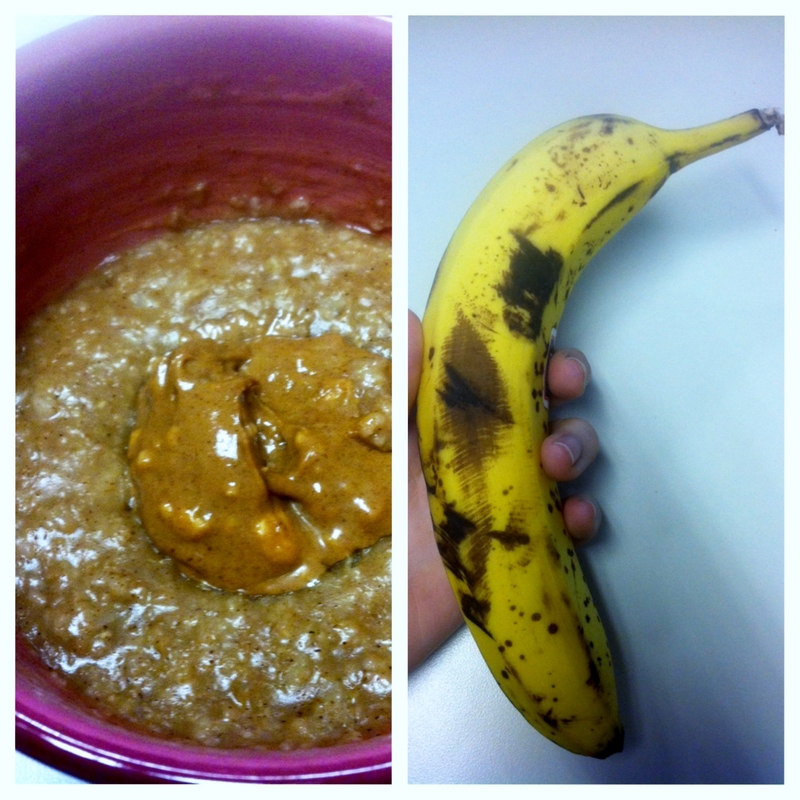 My day started out with my usual oatmeal and a spotty banana mid morning! It kept me really full and never fails me! After my (SWEATY) tabata workout on the bike during my lunch break, I came back up and enjoyed a multi-part lunch. I started with an egg and Canadian bacon sandwich. Then, I followed it up with a yogurt, pistachios, and a kiwi! So freaking good! That yogurt was pretty good. It was on sale at Target this week and this was the last one of this flavor so I snatched it up to give it a try. I am glad I did! So creamy! 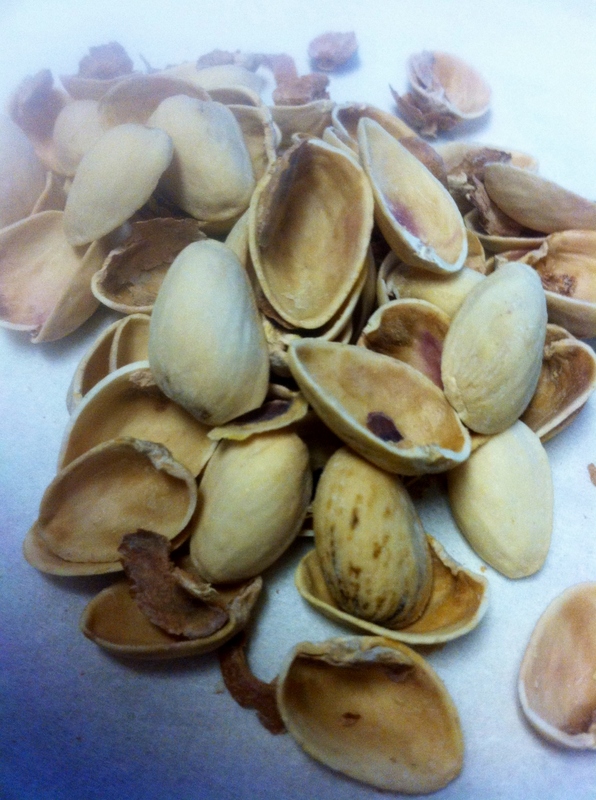 Also, I snagged the mini pistachio packs at the dollar store of all places this weekend! They are the perfect snack size bag! !